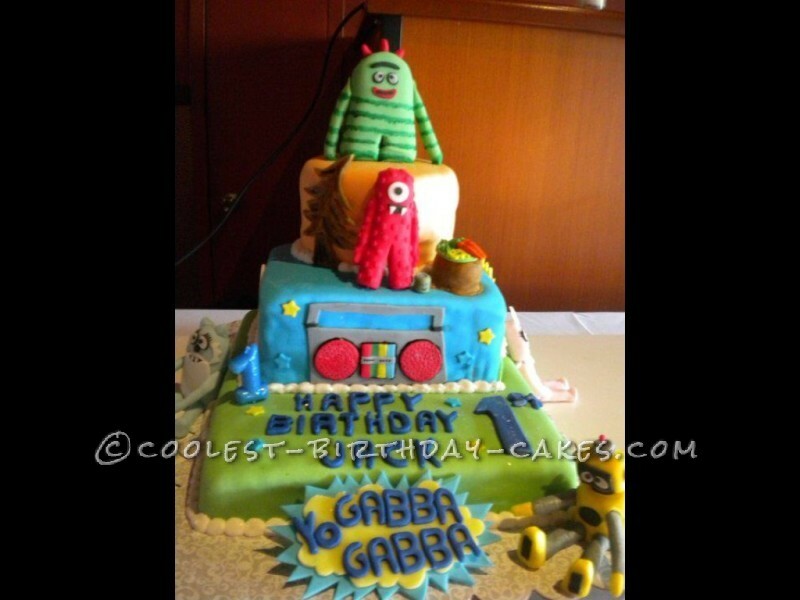 What a fun cake to make, Yo GABBA GABBA for a fist birthday party. 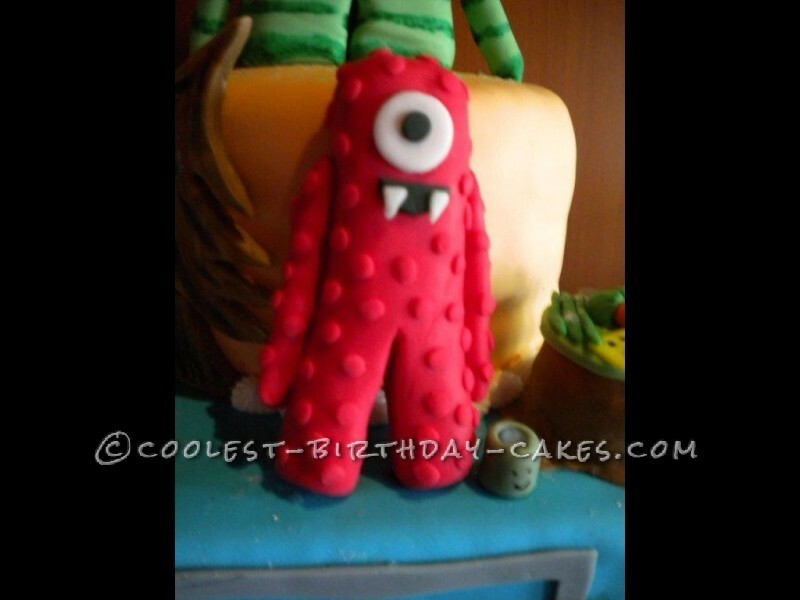 This cake was a challenge since, I never watched the kids show Yo GABBA GABBA, and I was nervous to create the characters. The biggest challenge was watching the show and constructing the characters. 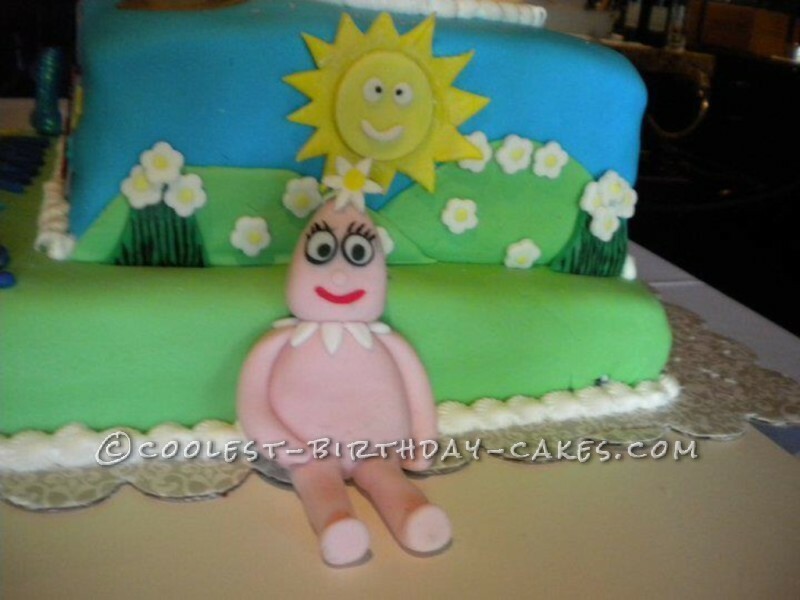 The best part was the same, watching the show and bringing the characters to life out of fondant and creating a scene on the cake for each character. 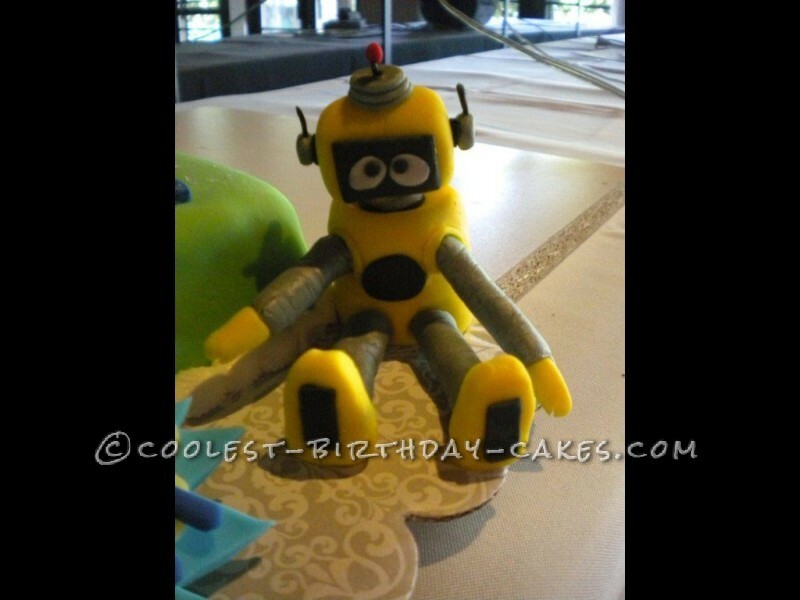 Each of the 5 characters was hand sculpted and resembled the TV characters perfectly. 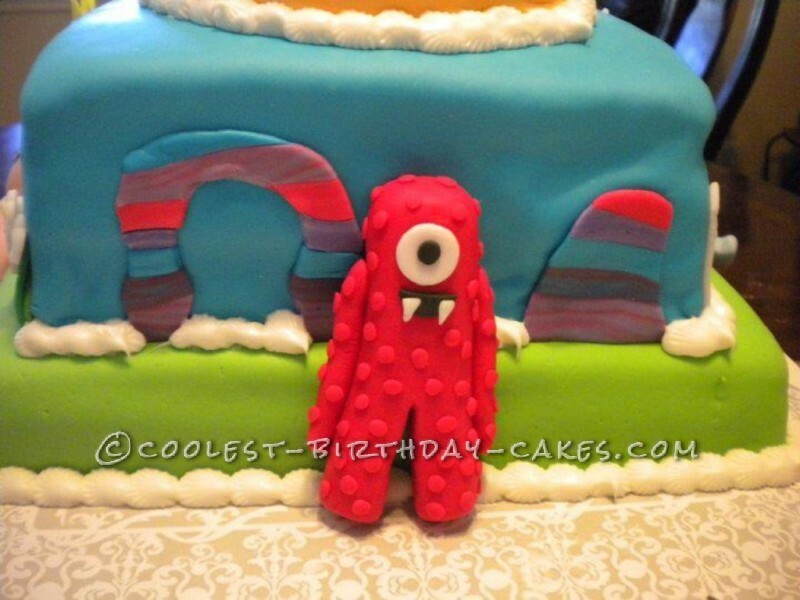 I placed them around the cake with fondant accents like the boom box, tree stump with a plate and food on it, scene with each character like Muno (the red cyclops) in Mars, Foofa (the pink flower bubble) with flowers, Brobee (a little hairy green monster), Toodee (the blue cat-dragon) with ice mountains, and Plex (the magic yellow robot). 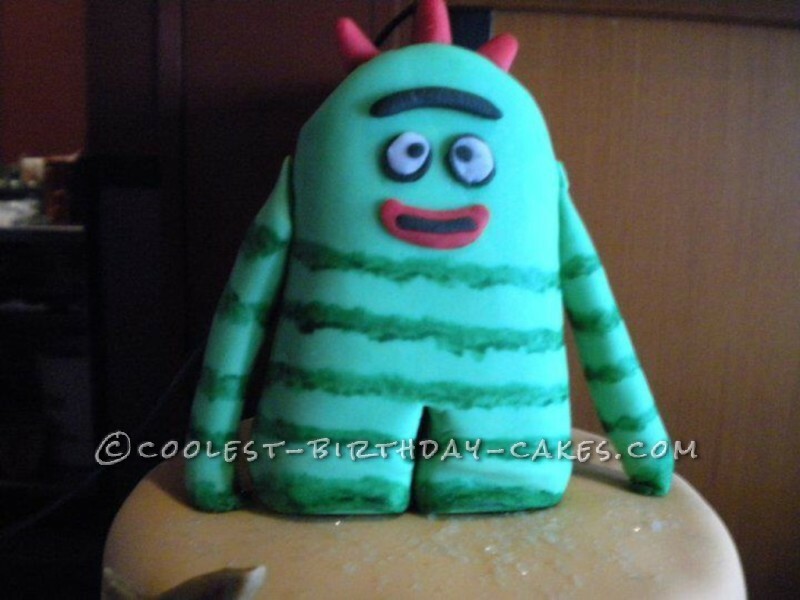 The birthday boy was very excited and loved the cake and characters on the cake. 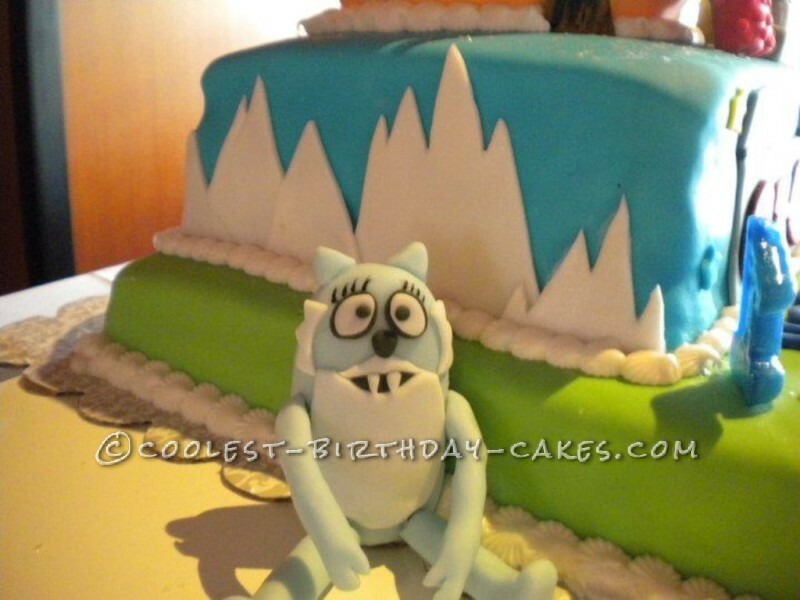 I was extremely impressed after all the time and hard work it took in sculpting the characters and assembling the cake with the scenes. 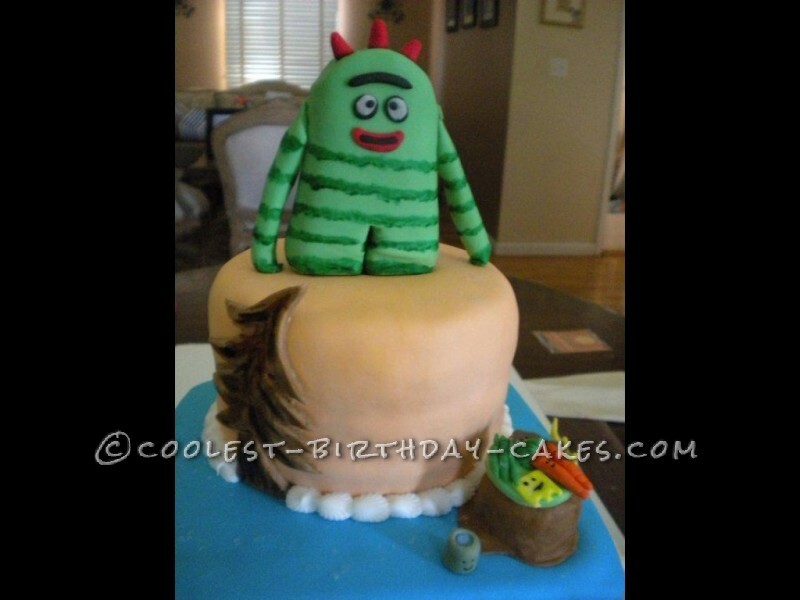 Birthday cake idea Posted by Danielle W.